An Ekiden is a run or walk based on a Japanese event where runners pass a tasuki - a traditional Japanese sash instead of a baton. 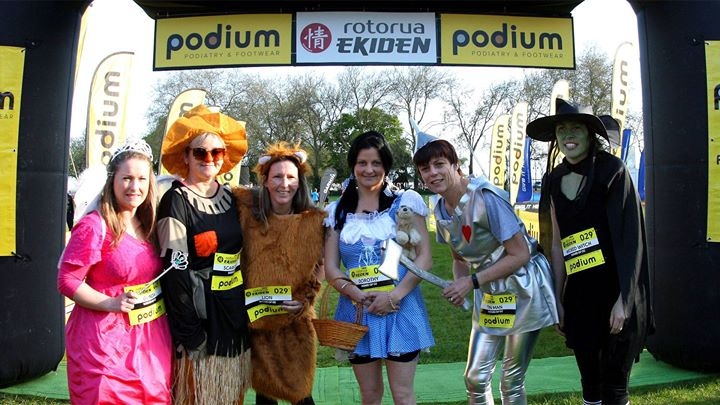 The Rotorua event follows the marathon course but split into six segments of varying distances. Entrants take part as a team and complete the course between them.